KYENJOJO – Five children from one family in Bahompo Village, Bufunjo Sub County in Kyenjojo District were on Thursday morning killed by unknown people who broke into their house. 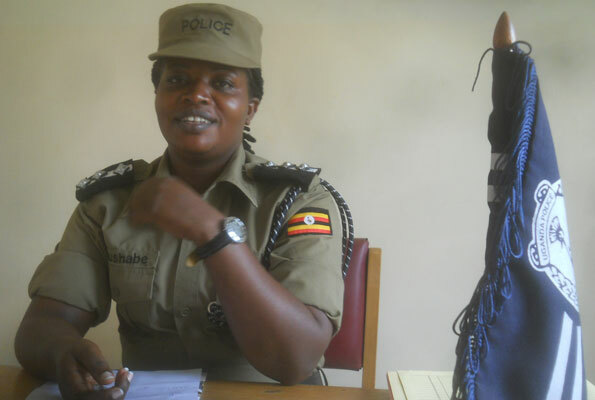 The Rwenzori West Regional police spokesperson, Ms Lydia Tumushabe, said at around 1 am, unknown people broke into Mr Joseph Tumwebaze’s house, killed his children and beat up his wife. Ms Tumushabe said that before the act, the unknown people first locked up another adult relative in his room before entering Tumwebaze’s room where they found his wife and children. She said they asked the wife where her husband was and also asked for money. The head of the family was away. After failing to give them money, they chopped her children in front of her and later beat her and dumped her in River Kawompo where she was rescued by neighbours and is currently admitted in hospital for treatment. “The assailants did not take any property from the house. They kept asking for the whereabouts of Tumwebaze. We are still investigating the motive of the killing,” Ms Tumushabe added. According to detectives, Tumwebaze had travelled to Kasese District at the time his home was attacked. Ms Tumushabe identified the deceased as Barbra Atuhairwe 7, Oscar Alinganiza 4, Linet Ainebyoona 3, Devis Tulinomugisha 2 years and Abwooli, 1 month. She said as police they grieve with the family and relatives and investigations are ongoing and the criminals will be brought to book. Some 4,473 people were murdered in Uganda in 2017 alone, 158 higher than 2016 figures, according to Uganda annual crime report released on July 18, 2018. Following a rise in crime, President Museveni directed that 24,000 LDUs be recruited to back security agencies such as army and police in providing security in urban and rural areas. Among the crimes that prompted President Museveni to order for LDU recruitment was the killing of former Buyende District police commander, ASP Muhammad Kirumira, was shot 13 times at Bulenga Township on September 8. ASP Kirumira’s assassination came 90 days after Arua Municipality MP, Col Ibrahim Abiriga, was killed in a similar manner on June 8 at Kawanda, in Wakiso District. At least 100 cases of kidnaps including that of Susan Magara were registered countrywide last year.